You may have seen the tagline on my website by now: “Videos, Courses and Content to Optimize Your Life”. I share content with you that I hope will help you improve your life in different areas : Health, Finance, Mindset etc. Today I am sharing two Youtube Channels that I look at that have really helped me achieve some of my goals and expand my thinking. 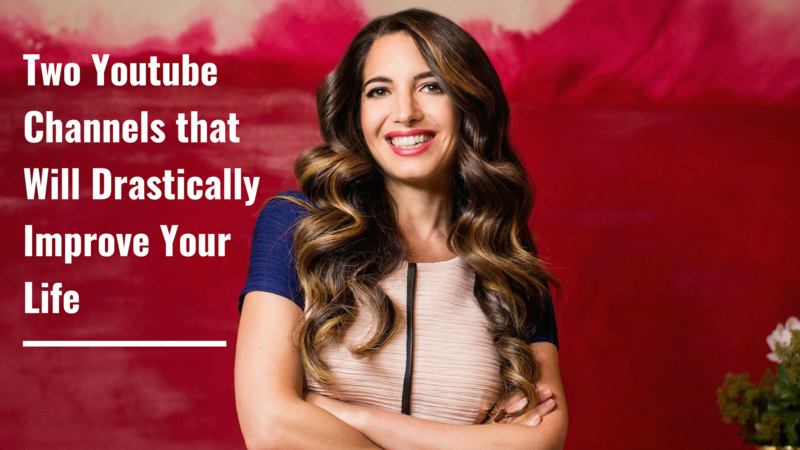 There are so many amazing Youtube Channels, Podcasts, Websites and other platforms that exist now, with so much life changing information…it`s amazing and dizzying at the same time. Here are just two of the ones that I love that I think are really phenomenal if you want to live a fulfilling and meaningful life. Above you will see one of my favourite videos from Marie`s Channel. In the video she talks with financial expert David Bach. He talks about some common misconceptions about money, some habits that you should change if you want to be in a better financial position, and the easy way that people can achieve financial goals. Above you will see one of my favourite videos from Tom`s Channel. In the video he talks with retired US Navy Seal and Ultra Athlete David Goggins. David talks about some of the mind boggling physical feats he was able to achieve through share willpower and taking control of his mind, and the different ways that he was able to cultivate the mind of a warrior and make himself “indestructable”. Watching this video totally blew the top off what I thought was possible in terms of human capabilities. If you have never seen this video, check it out and tell me if your mind is not totally blown by what this man was able to do ! I hope this video inspires you to do some cool things with your life ! Press the “LIKE” button at the end of this post if you enjoyed this article. Comment below with some of your favourite Youtube Channels.